If you would like to donate to this site or pay for photographs, please click the link below. Photographs on this web site are copyright ©2009 Richard L. Watson, Ph.D. - All rights reserved.The photographs on this site may not be reproduced, distributed, transmitted or otherwise used, except with the prior written permission of owner. You are not permitted to copy, broadcast, download, store (in any medium), transmit, show or play in public, adapt or change in any way the content of these web pages for any other purpose whatsoever without the prior written permission of the site owner. 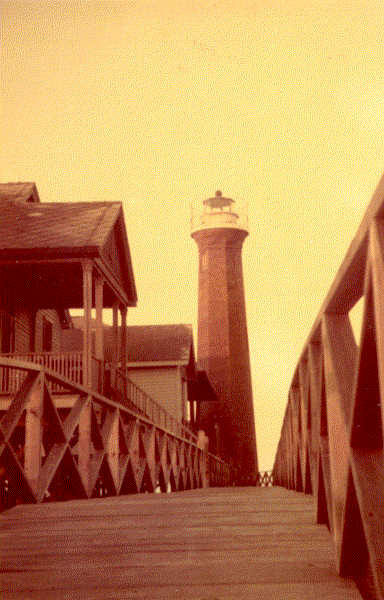 Click here for a new page of aerial photos of inlets on Florida's west coast! 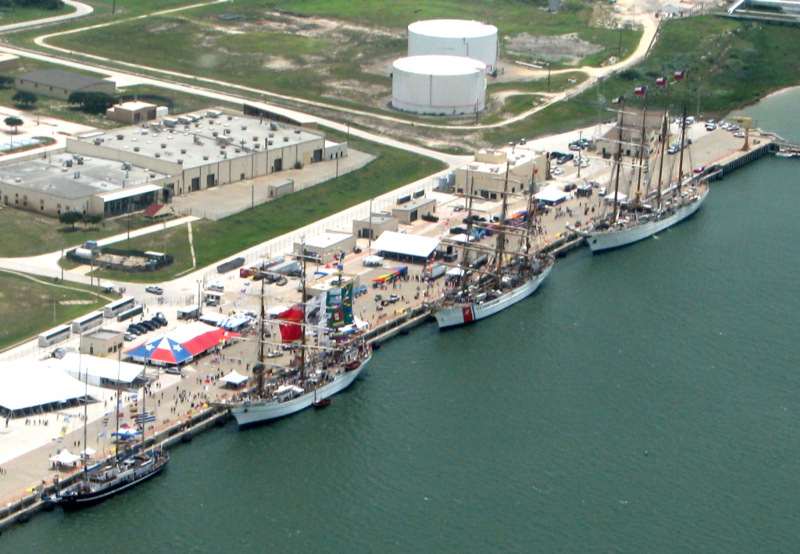 Four tall ships, (from left to right) Capitan Miranda of Uruguay, Eagle of the USA, Cuauhtemoc of Mexico and Esmeralda from Chile came throuth the jetties at Port Aransas to dock at Ingleside for July 4, 2010. Click on the following two links for photos of Cuahtemoc and Esmeralda. 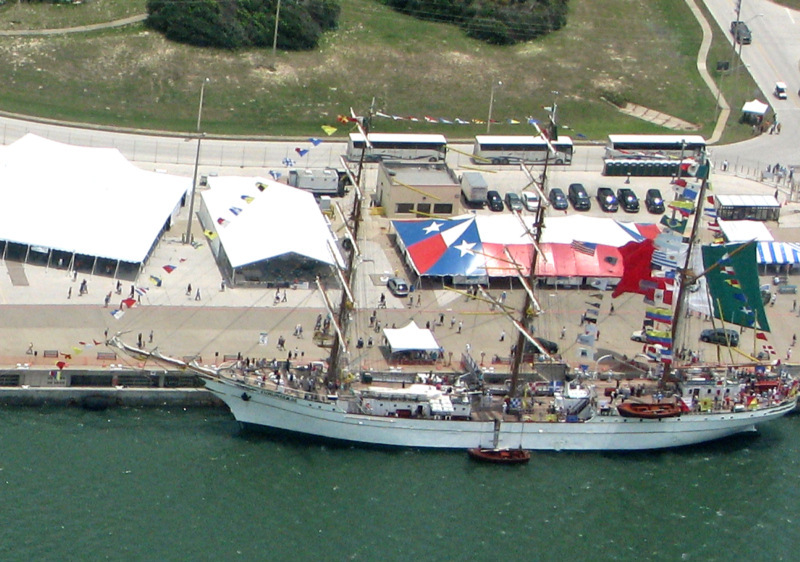 Click here for photos of the Mexican sail training ship Cuauhtemoc. 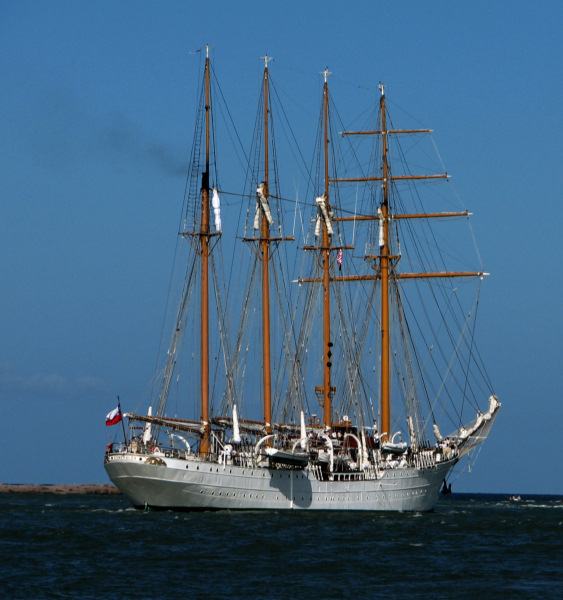 Click here for photos of the Chilean sail training ship Esmeralda, the second largest sailing ship in the world. 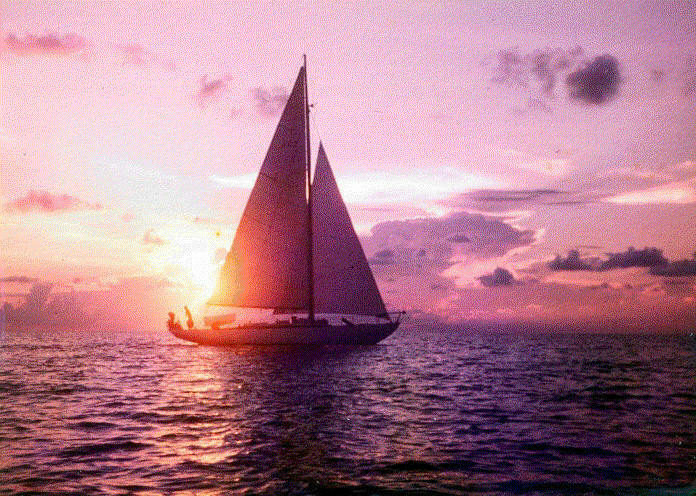 Click here to read about sailing through the eye of tropical storm Dottie aboard the sloop Viking pictured above.